Please select a tab from above to browse the packages in the catagory you wish to make a purchase within. If you have any problems with your donations, or any questions about any of the packs. Please visit our forums and post a thread in our Donation Help section and we will assist you as soon as possible. Please make sure that you are entering the correct Minecraft Name, these are Case Sensitive! Important: All purchases made are final, and we do not offer refunds. We ask that you are at least 18 years of age, or have obtained parental consent prior to making a purchase. In the event of a chargeback, you will be permanently banned on our servers by buycraft. Please make sure you are above the age of 18, or ask a parent before purchasing a rank and/or package! 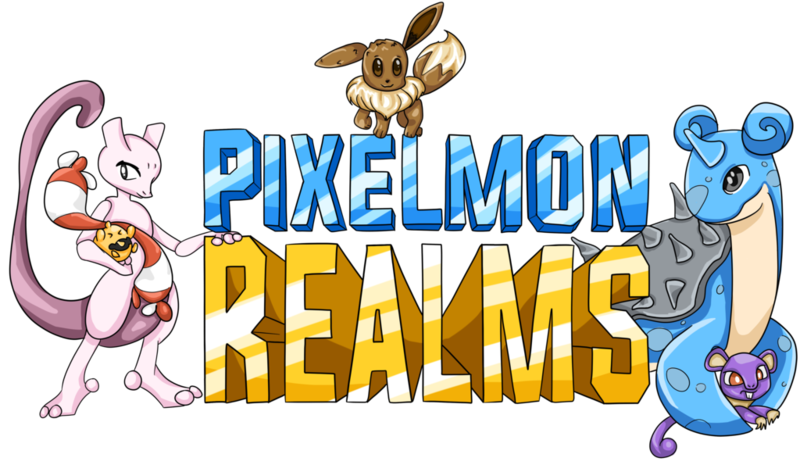 The Pixelmon Realms network is not affiliated with Mojang. Disclaimer the Pixelmon Realms network is NOT affiliated with Minecraft, Mojang AB and/or Notch Development AB. Minecraft is © Mojang AB 2009-2017.